I have recently escaped from the stressful and monotone city routine to a luxury weekend in Budapest. If you follow my blog you would already know I love experiencing new destinations that offer not only a luxury stay but also a full-on cultural options. Being French, I tend to be quite demanding (or so people say) so I also like going to places when it is not too crowded and I can make the most of all the hot spots, sites and hotel facilities. 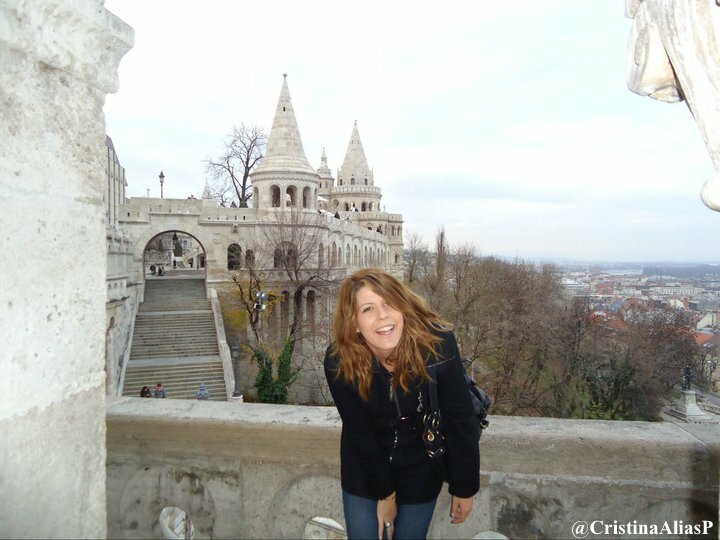 So I booked my 3 night’s weekend in Budapest seeking for a cultural and stylish getaway… and I can now tell you it was one of the most delightful European trips I have ever done. Budapest is becoming a much desired city destination therefore many main and smaller airports offer direct flights to the Hungarian capital. You can also catch a fast train from central Europe that would take you to Budapest across stunning landscapes, for example, there is a train that goes from Munich (Germany) all the way to Budapest. 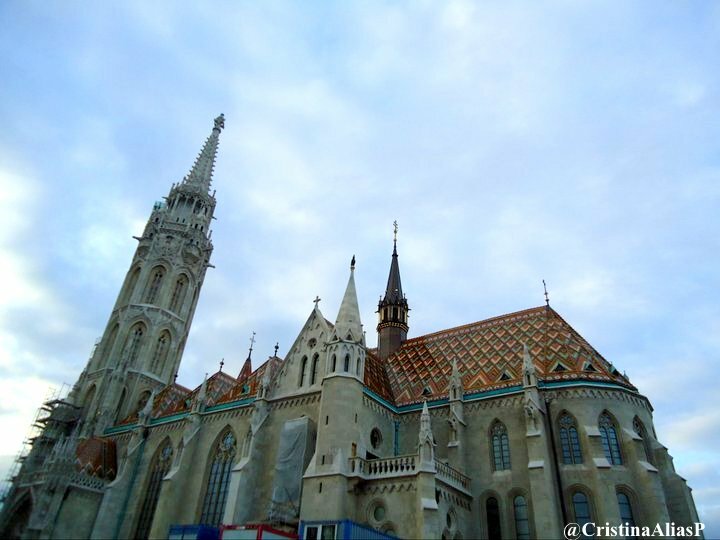 I knew very little about Budapest before booking my luxury weekend, a part from its glorious past and about its stunning French inspired architecture. 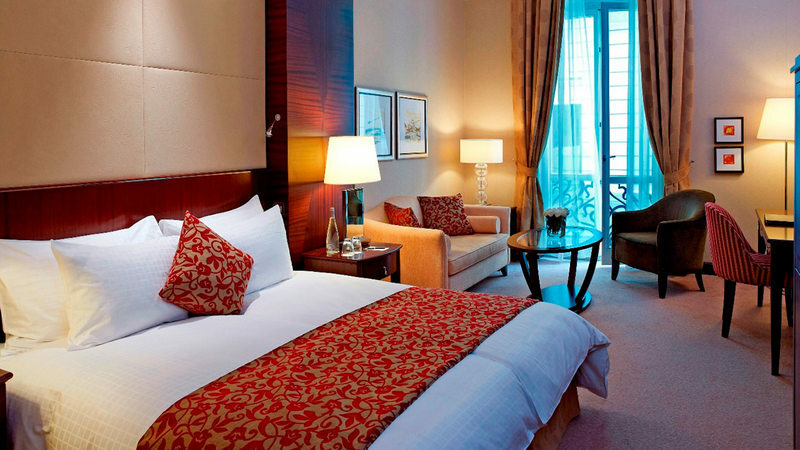 Beautiful monuments, a historical town and a luxury hotel make a great recipe for a successful weekend away. So there I was, landing in Budapest international airport. 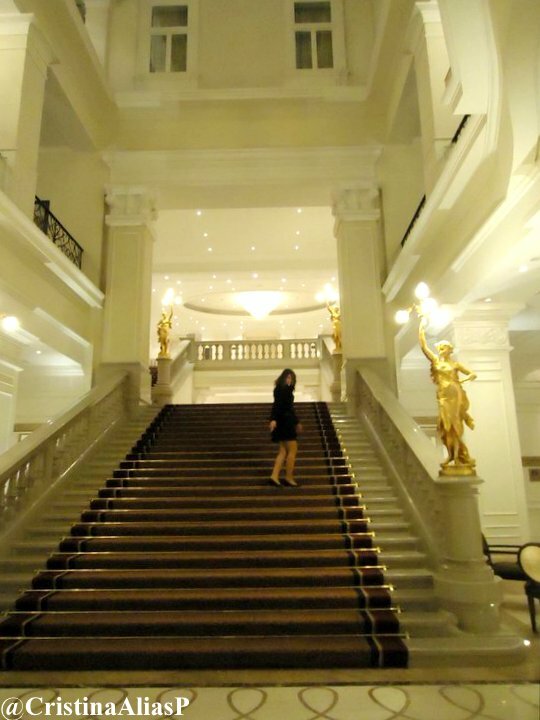 I was staying at the Grand Hotel Budapest (built in 1896) which is part of the luxury hotels chain Corinthia. This is a historical, stunning and decadent building that hosts one of the most impeccable luxury hotels I have ever visited in Europe. I had booked my transfer with the Corinthia Grand Budapest hotel beforehand so a small shuttle was waiting for me at the airport. The shuttle was also taking other tourists to close-by hotels but you can book a private transfer from the hotel as well; that is what I did on my way back home so I could maximize my precious time in Budapest. As usual, you must never judge a city by the airport surroundings, especially Budapest as the grey, abandoned looking buildings painted a desolated east-European picture that was about to become an enchanting one as soon as we entered the city center, So, be patient, Budapest is really magnificent. 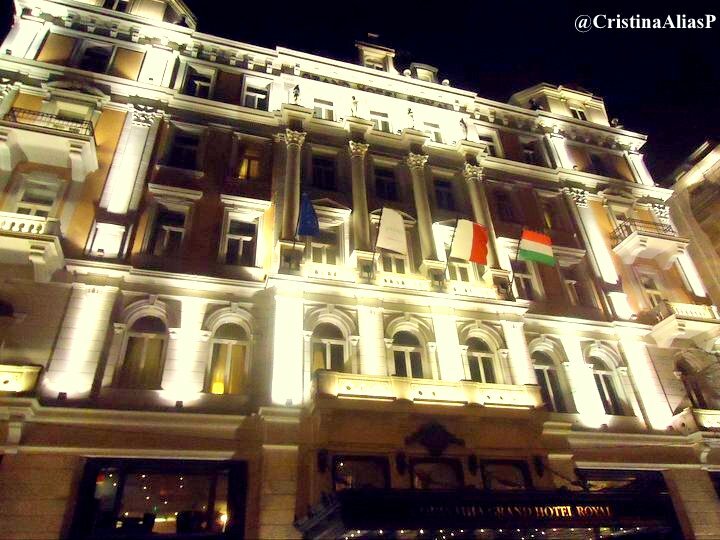 The Corinthia Budapest Hotel is not located in the city center itself, I mean around the main square (Okton) and shopping streets. I chosed carefully this hotel by doing a lot of research on the neighbourhoods and on the hotel’s reviews. The Coritnthia Budapest Hotel is located up town (Erzsébet körút 43-49, Budapest H-1073) in a residential yet elegant avenue. You can walk to the Grand Opera in less than 15 minutes and I would say that it took me about 20-25 minutes to reach the main city center walking along a beautiful avenue. The hotel is also very well connected by metro. Oh! for once, what a pleasure to travel by metro; it is like travelling back in time. The metro (they call it tram) is a pretty wooden wagon, the lines are simple and basically, you can go everywhere you want by metro (Millenium Underground then metro 4/6 to the main square, Okton square or to the Buda castle: Tram 4/6 till Moszkva square – Bus 10/110). In fact, Budapest’s metro is the second oldest in the world. 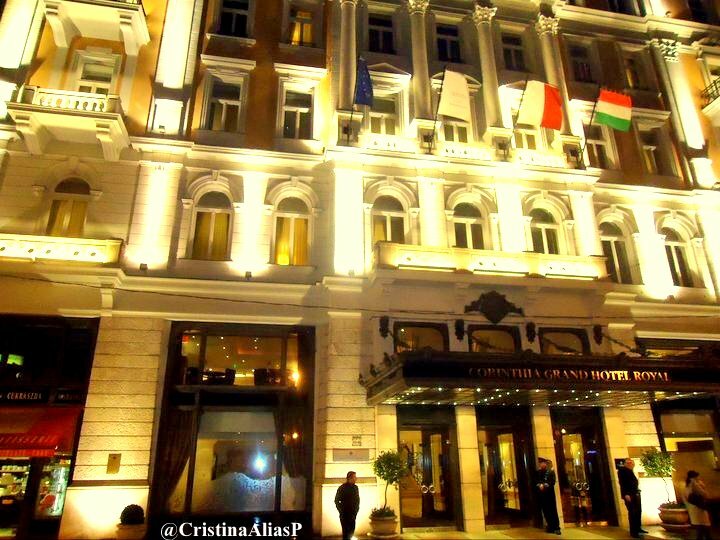 The Hotel itself reflects the historical opulence and rich past of Budapest. For instance, many people think that the movie Grand Hotel Budapest was directly inspired by this hotel and I must say that, somehow, the allure and the decoration, not to mention the personalized service, feel like you are in that hotel, in that movie. All in all, I loved my room –Hotel Grand Budapest which was large, classy, modern, silent and extremely comfortable- the location of the Hotel, the SPA and the staff. So if you are looking for a luxury weekend in Budpaest I would highly recommend the Corinthia Budapest Hotel, especially if you love SPAs and swimming. Budapest is the 6th most visited city in Europe and with over 4.5 million visitors a year you can easily guess that Budapest has lots, lots to offer. However, if you want to relax and enjoy a city break at your pace, it is obvious you won’t be able to visit everything that is worth seeing. I have had the most amazing luxury Budapest weekend so I would like to share with you my trip highlights. Needless to say there are so many other great things to discover in and around Budapest but I feel I have pretty much captured the essence and beauty of Budapest. 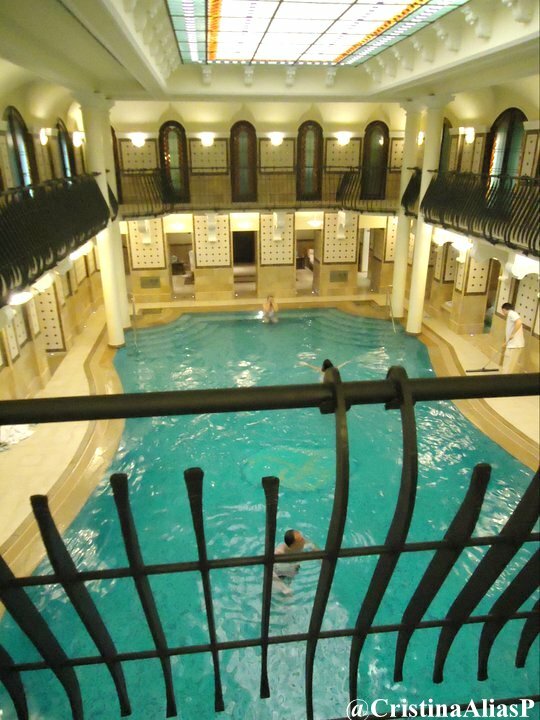 One tip, if you love SPAs or natural spring water pools you should book a week in Budapest: it is the largest underground spring water system in the world. You can find over a hundred spring water holes in town. I have grown in the French Pyrenees where you can find spring thermal water facilities everywhere, therefore I am a big fan of these natural spring water pools and bubbles: they do miracles to your body! 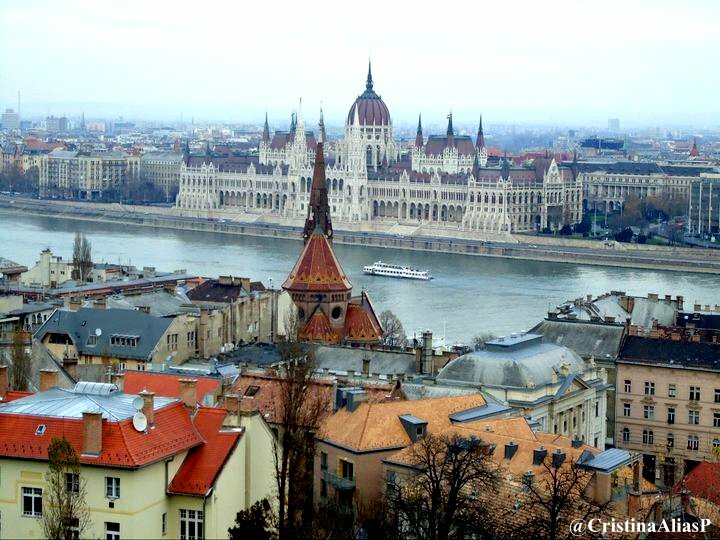 Budapest is a town composed by the Buda side on the left side of the Danube river and Pest side on the right side. 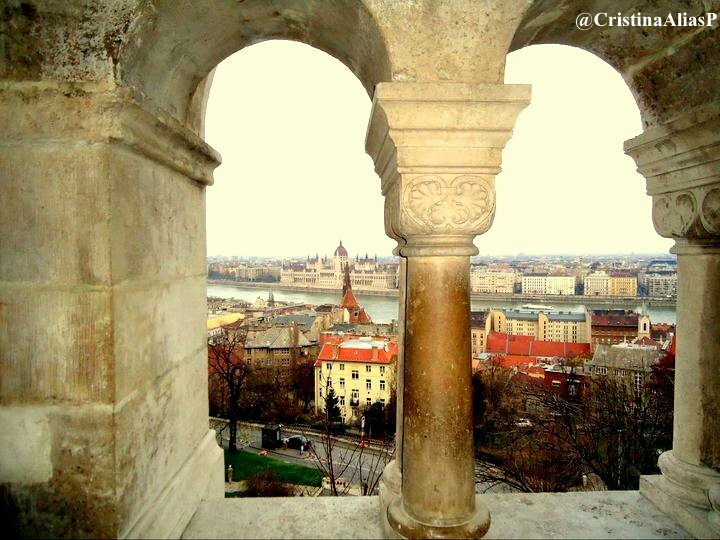 Buda is a beautiful UNESCO classified. 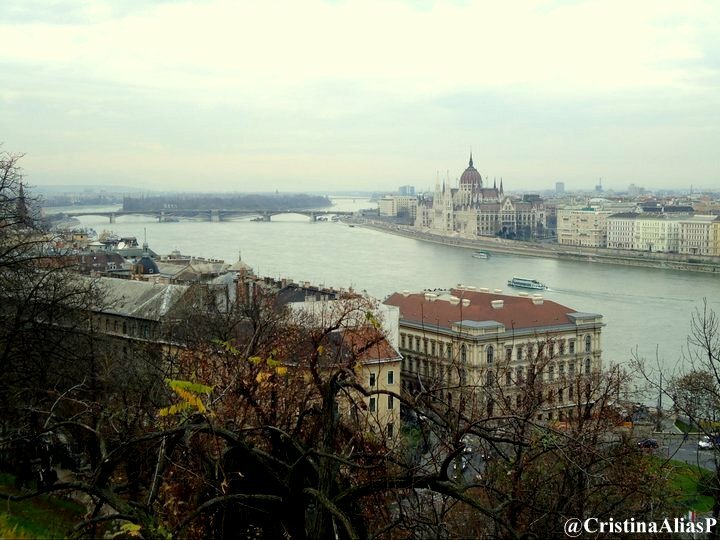 If I were you, I would head straight to the Buda quarter either walking either by funicular. Once up there, the views over the Parliament (3rd largest Parliament ever) and over Pest and the Danube are truly stunning. You can walk around on the cobbled streets, stop for a coffee in one of the many charming traditional cafes, visit the castle, the underground labyrinth and, basically, enjoy the architectural sites and the views. You can find all about Buda here. 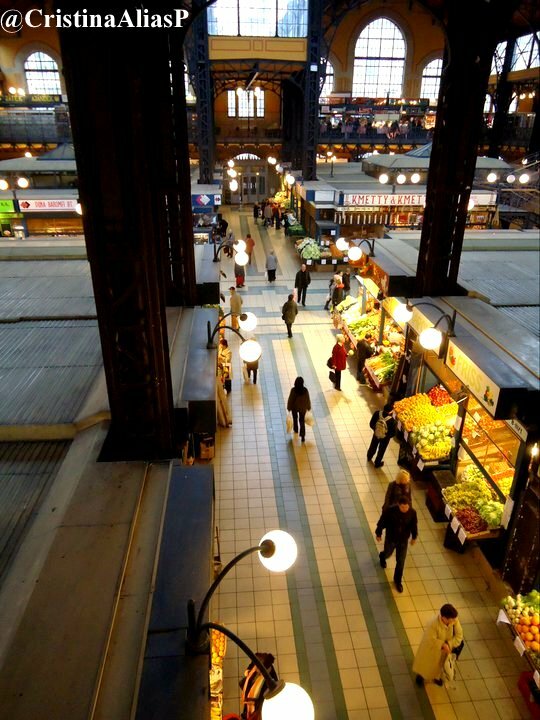 This central market is a must-see in Budapest. Located near the iconic Liberty bridge, this central food market is a great combination of shopping, sight-seeing and gastronomy. I went to the market after walking down from Buda and crossing the beautiful Liberty Bridge before discovering the historical market building. 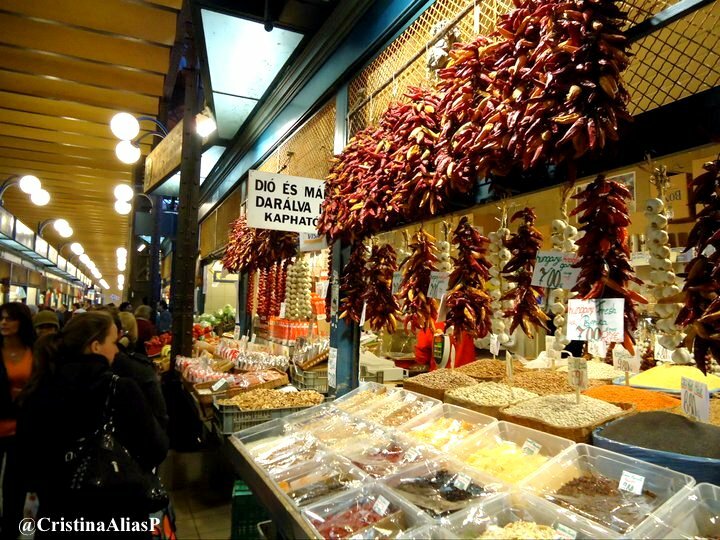 This market is very frequented by locals so you can find traditional affordable Hungarian products such paprika powder and dry meats. Personally I bought lots of species. This food market has 3 level floors, I loved the 2nd floors where you can find artisanal home-made goods like leather handbags. I could not resist to buy a bag and a belt, Lovely worth souvenirs. There is always something happening in Budapest. This vibrant town is very proud of its traditions and there is always some sort of food festival around the corner. 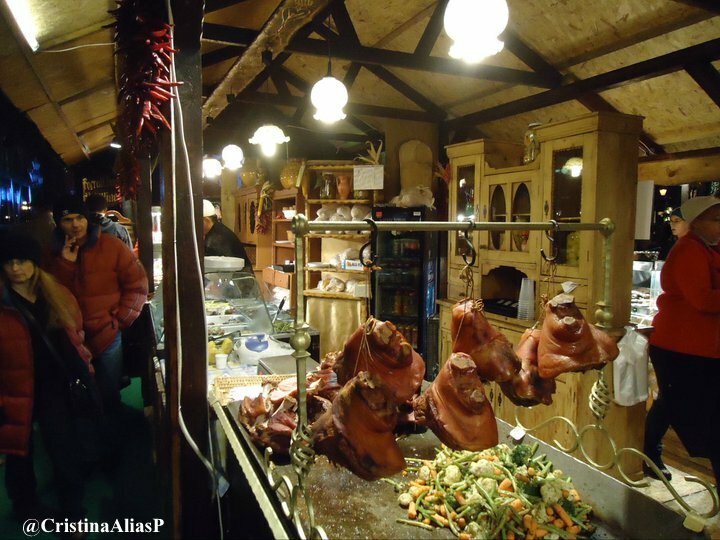 When I visited the Hungarian capital I could taste great roasted meat on Okton Square as well as local wines (please, indulge yourself and buy some white wine, amazing!). Try to get away from the main touristy attractions and enjoy beautiful food such duck specialties or beef goulash with dumplings. One of my favorite restaurants not only in Budapest but in Europe was the Bock Bistro, a very renowned and awarded fine bistro worth visiting. But, in general, Budapest is paradise to foodies. Budapest is also officially called SPA city. 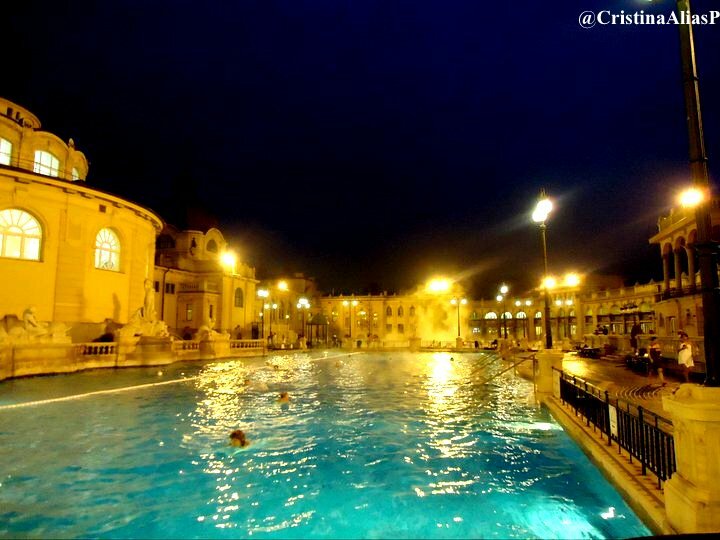 Budapest residents have been enjoying thermal water facilities for 2000 years now. 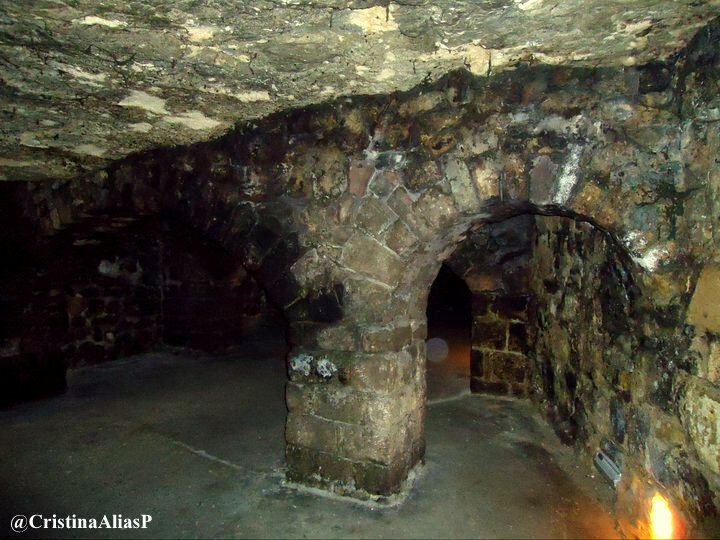 It is known that the Romans started exploiting these natural resources, however the thermal complexes themselves were actually built by the Turks. Nowadays, Budapest has 123 natural hot springs and wells which means that this city is the capital city of healing and thermal waters in the world. What is also impressive is that the Széchenyi Thermal Baths (1900’s) is the largest water SPA complex not only in town but in the whole of Europe. So, if you love thermal waters and want to relax while doing a favor to your body, head to one of the city’s SPA. You can check the list of thermal baths here and pick-up the one that suits you the best. 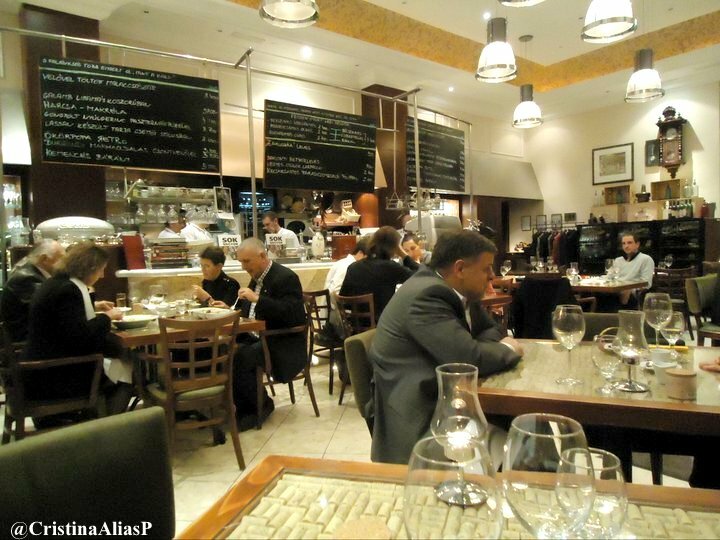 Maybe because of its French heritage, in Budapest you can find numerous French-looking elegant cafes. Once again, Budapest takes you back in time to a more 1920’s ambiance. 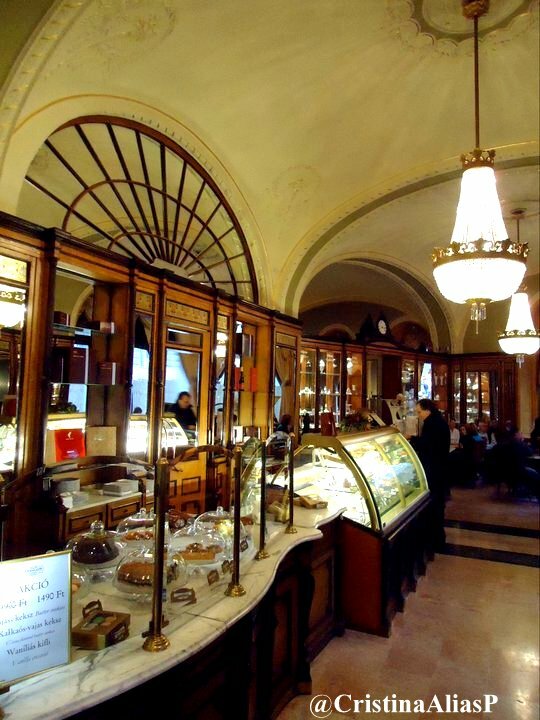 I absolutely adored stopping for a break at a café and taste the most amazing and refined patisseries in Europe. Opening hours: October 1 – April 30. 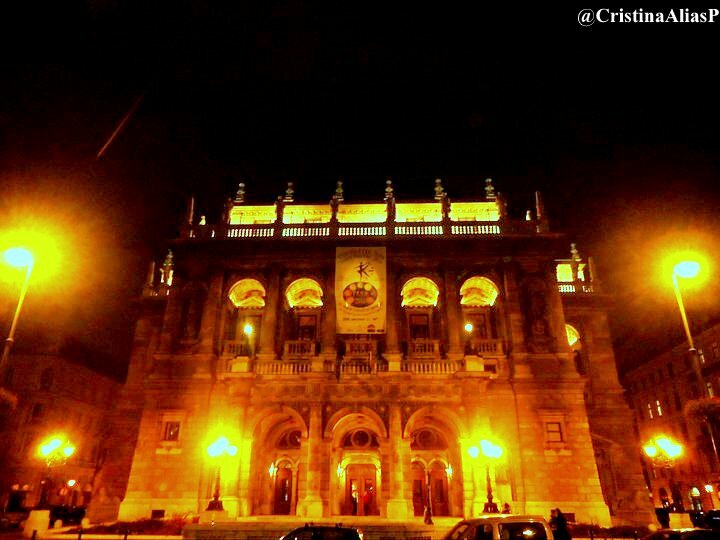 The Opera House in Budapest is a must-see as it is indeed one of the most beautiful neo-renaissance European buildings. So, even if you don’t have the time (or the energy after a long SPA day) I would definitely advise you to, at least, see it from the outside. The Opera House was opened to the public in 1884 and since, along with the Vienna Opera house, it is considered the best opera venue in terms of acoustics. 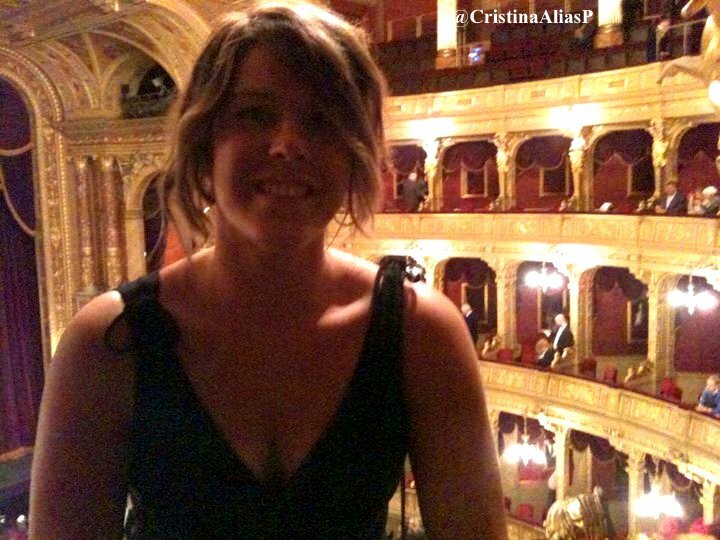 I was lucky enough to buy last-minute opera tickets, what a treat! To Get to the Budapest Opera House you can take the Millennium Undreground (M1) to “Opera” station or walk from the city center. Budapest is certainly on of the most charming and characterful cities in Europe where you can enjoy a 5 star stay in one of the many luxurious hotels. You can check your many options at great prices here. If you like my tips, please share. I hope my memoires have inspired you to visit one of the most beautiful and elegant cities and Europe. You can leave your comments below or share your beautiful photos on my Facebook page! Tagged luxury travel, weekend ideas.